I am surprising mum this year by registering her and myself for the Mother's Day Classic (MDC) at Parramatta Park. This will be her first ever fun run event; we will have to get ourselves some funky pink T-shirts and tutus to fit into the pink theme for breast cancer awareness! Parramatta Park is a great venue for the fun run event. It is the home of the Old Government House and the Domain (Parramatta Park) which is one of the 11 historic places listed on the Australian Convict Sites World Heritage register. The park is boarded by the Parramatta River which was re-opened for swimming the summer of 2015, there is abundant green open space, children's playgrounds, running and bike tracks, BBQs, picnic areas, a pond to feed the ducks and three amazing dining venues to choose from - one of which I will surprise mum for lunch or high tea! I am so excited! The MDC is a wonderful event and a great opportunity to celebrate mother's day in conjunction with raising funds and awareness for breast cancer research. The event also take place in Sydney - The Domain, Art Gallery Road, Sydney - for more information please see link below. The early bird entry prices is closed, the entry prices for an adult for the 4km walk is $50 with $34 going directly to the National Breast Cancer Foundation. 1. Breast cancer represents 28% of all cancers in Australian women. 2. About 14,000 women are diagnosed yearly. 3. 1 in 8 women will be diagnosed with breast cancer by the age of 85. Although it can occur at any age, it is more common in older women. 4. 69% are diagnosed in women aged between 40-69 with 25% diagnosed in women aged 70 and over. Cancer research is more than just the clinical scientific studies at a cellular level in a laboratory. It also incorporates behavioural studies, extensive computer simulations to highlight the key factors affecting different groups within the community. These research provides invaluable resource to improve cancer diagnosis, treatments and care for cancer patients. The Macquarie Street Gatehouse Tea Rooms building was built in 1887 and was granted World Heritage Listing by UNESCO in 2007 for its significance to the nation's colonial history, making this the oldest High Tea venue in Australia - how amazing is this fact?! The Gatehouse Tea Rooms High Tea packages ranges from $39 to $69 with the later including a piccolo (200ml) of Moet & Chandon Champagne. The restaurant is open for Mother's Day Breakfast from 8:00am to 11:00am, Lunch from 12moon to 3:00pm and High Tea from 3:30pm to 5:30pm. 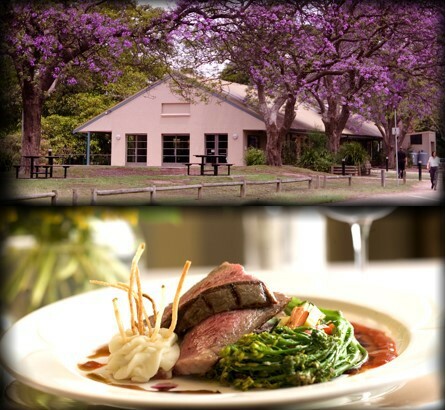 Located within the old visitor centre, the café is most picturesque in Spring when the Jacaranda trees are in full bloom, colouring the park violet. The Parramatta Park Café has a great casual outdoor dinning area on the balcony overlooking the Parramatta River providing a relaxed setting to enjoy your meal. I've run the MDC with my daughter. It is something a bit different to do together. We combined it with a celebration Mother's Day lunch. I will be going to this event. Letting you know that the map is of a different Parramatta Park.